Let's keep it simple! Designed in a dark colour scheme, the overall design is deliberately minimalist and stylish, to ensure your uploaded photography looks striking and vibrant. 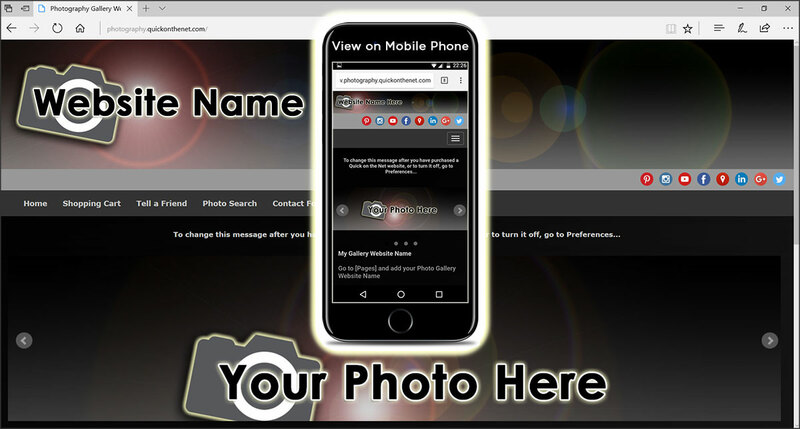 The pictures in your gallery website are fully searchable, based on the keywords you add to each picture. If you prefer to keep your images private, you can put a password on the home page of your image gallery site. You can also add your creative touch by uploading your own photos or Adobe Photo Shop modified images, to be used as menu buttons.